Young Folks Night School is a monthly get-together, where digital marketing is taken offline and into the real world. Join Erin in the studio and learn various marketing strategies & tools to help your business thrive. Oh. There will be wine and cheese, to take the edge of the after-hours learning. Date: Click ‘Book Now’ below for various session dates and topics. Bookings essential: Limited tickets available. So nice to meet you. I’m Erin, a digital strategist, creative thinker, and all-round girl geek. 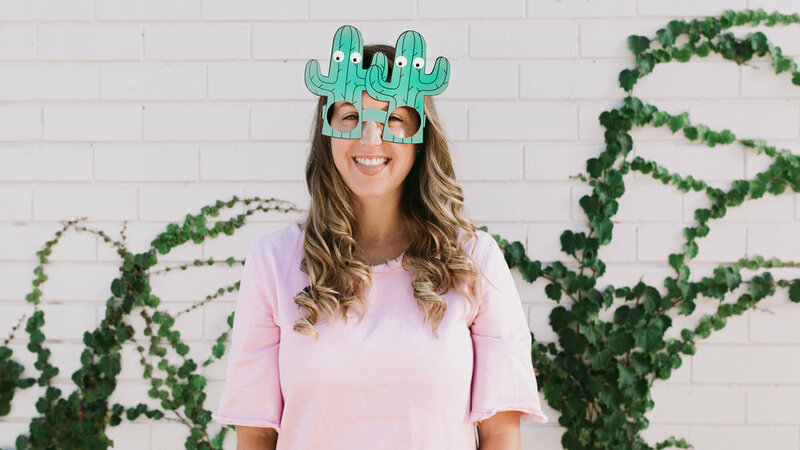 After 10 years working as a digital strategist and content marketer, I was finally ready (brave enough) to start my own business – Young Folks Digital. Young Folks Digital is based on the Mornington Peninsula, about an hour south of Melbourne, and thanks to the power of the internet, works with businesses Australia-wide. After growing up on the Peninsula, I couldn’t wait to pack my (few) belongings into my 1986 Nissan Pulsar and head for the big smoke. And apart from a stint in London, Melbourne is where I stayed for the next twelve years. This small town girl? Couldn’t get enough of the city life. Whilst living in Melbourne, I worked with boutique brands, some of Australia’s biggest retailers, start-ups, and media outlets. There I was, gunning for the next promotion in every job (competitive much?). Before I started Young Folks, I held Head of Digital positions at a number of companies and worked with some seriously big budgets on some seriously big digital projects and marketing campaigns. I’ve been part of some incredible launches (lookin’ at you, Cooked and Halliday Wine Companion), organised amazing collaborations (like the Etsy x Bride Magazine Wedding Trunk Show), marketed boutique brands (like Mr & Mrs Smith Hotels), worked with profit-for-purpose brands (lookin’ at you BioPak) and strategised with start-ups to watch (Babybee Prams, Cubbi). Now, through my business Young Folks Digital, I am dedicated to helping businesses unlock the power of digital marketing and technology to help them grow.